You will not find them anywhere else as they are personally created, printed and laminated by me. 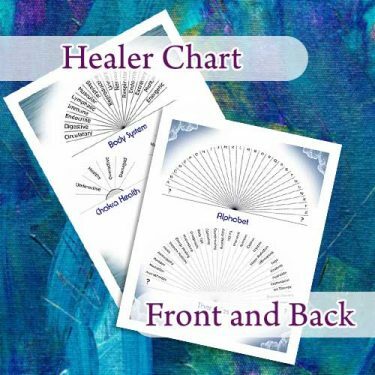 Flexible, this chart is great for anyone who is interested in creating a healing practice that recognizes the whole individual. Charts on this reference target more than just the physical, and help the practitioner to explore the energetic as well. Instead of having a hefty book to page through have this simple reference at your finger tips to simplify and save time.